Raw Islam 17: Where is The Mercy From the Smoke Damage? 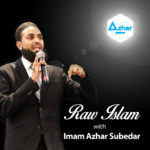 Raw Islam 15: Why All The Why? Raw Islam 14: What is Wrong with Islam? Raw Islam Podcast 12: What is Really Behind That Drywall?